A party without a bar? Doesn’t sound like a party! 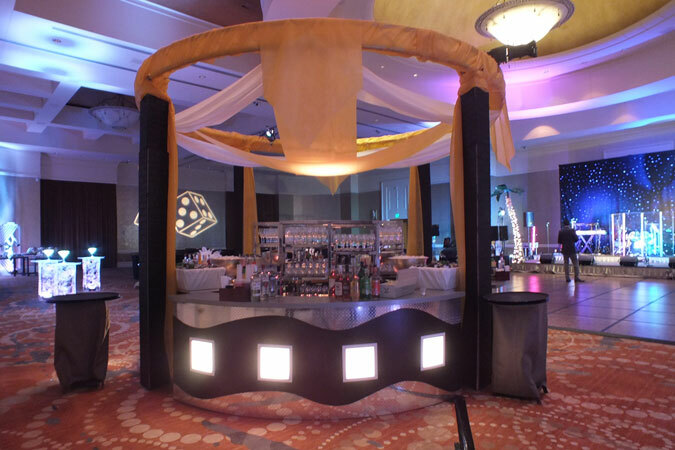 Let our professional bartenders craft a specialty drink just for your event. We have numerous bars to choose from in all different shapes and sizes – still don’t see what you’re looking for? We’ll custom make your logo on any bar. Bars available for rent with or without bartender service.